In High School, Science and Food Technology were classed separate subjects but former Masterchef Australia contestant Ben Milbourne is changing the way we think about science and cooking. 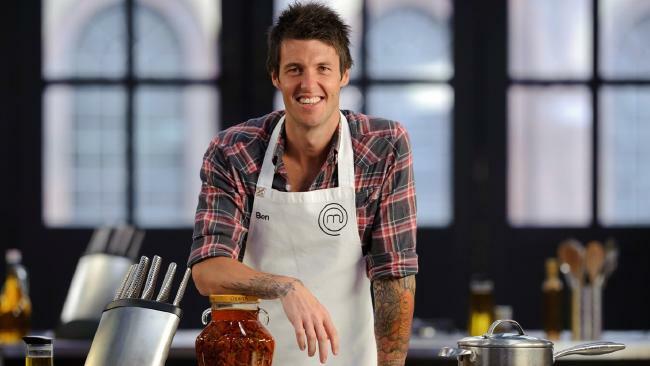 Four years after Ben’s appearance on series 4 of Masterchef, mingling with celebrity guest chefs such as Jamie Oliver, Rick Stein and Buddy Valastro, Ben’s been channeling his inner Heston Blumenthal with his new TV Series Food Lab on Channel 10 — set at The University of Queensland. This program looks at the process of cooking taking a scientific approach to the reasons why food reacts to different cooking methods. Cooking and science are two entities that integrate seamlessly however often home cooks fail to perceive the relationship. Ben joined Jeziel on Drive to share his experiences or reality TV and explain how big of an impact science has on the food we eat. Jeziel Andersen (JA): Let’s start off with Masterchef. How was that experience? Ben Millbourne (BM): It was fantastic! Everything that I’ve done on a career path since 2012 was thanks to that experience on that show. I gained heaps of knowledge and understanding of how the industry works. I’ve always loved food and known that I always knew that I would like to work in food but it probably grew that thirst and knowledge. JA: Do you still get time to watch the show? BM: I’d love to still have time to sit down and watch it, because I was one of those people who loved the show and I really enjoyed it. I’ve been in a few later series after our series — going back and mentoring other contestants and setting challenges, so I still get to stay involved with the show a little bit but I don’t get that time every night to sit down and invest in the contestants as much as I did before I went on the show, and that’s purely because I’m so busy. We’ve also got 2 kids under 3 so it’s normally bath time and bed time when Masterchef is on! JA: Having said that, do you still keep in touch with any other contestants from your series? BM: I absolutely keep in touch with Andy (series 4 winner). I consider him my best mate and we always talk to each other every week about what’s happening in the food world and general chit-chats about the footy. We’ve got, surprisingly, a few ex-contestants that live in Tasmania (where Ben lives) so it’s nice catching up with them around the traps down here. JA: Valentine’s Day is around the corner. Men across the country will be donning the apron to cook something delicious for their other half. Have you got any top tips for them? BM: I think it’s not so much the about the end result when it comes to cooking on Valentine’s Day. My advice is it invite them into the kitchen while your cooking because for me, when I’m cooking is when I’m most open and when I’m at my happiest and most enjoyable. I cook with my wife and kids in the kitchen and I think that’s the smartest thing to do. If you want someone to see the best side of you and you are a foodie then invite that person into the kitchen. Sure, the dish you’ll make will be fantastic but there’s the enjoyment of the process of cooking that I find is the most enjoyable bit. JA: Let’s talk about your show Food Lab, which marries up food and science. How much of cooking requires a knowledge of science? BM: I was a science teacher beforehand! I think none of cooking requires a knowledge of science if you just want to get through, but if you want to be better at food it’s always nice to understand why something is doing what it’s doing when you put heat to it, or add acid or stir it or whisk it. The more we understand those few little basics about the scientific world, the better we are in the kitchen. The one thing I get asked a lot is why are we always told to rest our steak after we cook it. It’s because proteins are little coils like springs that hold water inside the springs. When you add heat to it the spring straightens out and can no longer hold water or moisture. If you take heat away it’ll recoil back into a spring. So when you take it off the heat the proteins re-coil, create moisture back into the steak and hold moisture in, so that’s why we rest our steak after cooking. 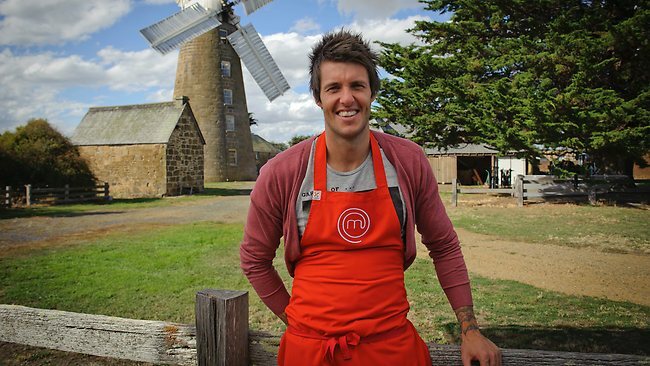 Food Lab by Ben Milbourne airs every Saturday at 3pm. Food Science Episode 1 results are in!